Here we are in Revelation 4 with the four beasts and WE ARE BEING CHANGED. We are being metamorphosed. A gradual change is taking place in us. God wants us to give way to this change – GIVE WAY. The caterpillar craves food and it eats green leaves and everything. It eats and eats and eats until it goes into a chrysalis or a long sleep, then awakes as a beautiful butterfly. We must feed upon the Word of God until the time of final change comes. The change begins right now, gradually. Sometimes you cannot even see it. You look like an old caterpillar outside, but a beautiful butterfly is being formed within the soul, THE THRONE OF GOD. The twenty-four elders sitting around the throne represent the priesthood. We are becoming priests IN OUR SOULS. The four beasts, the four natures of the soul, are being changed. Hallelujah! The PERFECTED IMAGE is shown in the white robes and the crowns worn show kingship. For God has promised us kingship. The lightnings and thunderings that proceed “out of the throne” room are the massive power of God’s energy and life which will come forth to change the world in which we live, bringing us into total union and oneness with God. “The seven lamps” that burn are “the seven Spirits of God.” The Spirit of the churches will be in us and it will be all perfected in us. One church will NOT be in charity and another one in evangelism and another one in praise. We will ALL be in charity, in evangelism, in praise, and in love, and ALL THE ATTRIBUTES of God will come forth in the soul nature of man. The “sea of glass” means there will be a clearness, a purity that you can see right through. There will be nothing to hide. No one will have secrets. It will be just one pure nation of people, one holy nation, a royal priesthood, a peculiar people. There will be clarity. 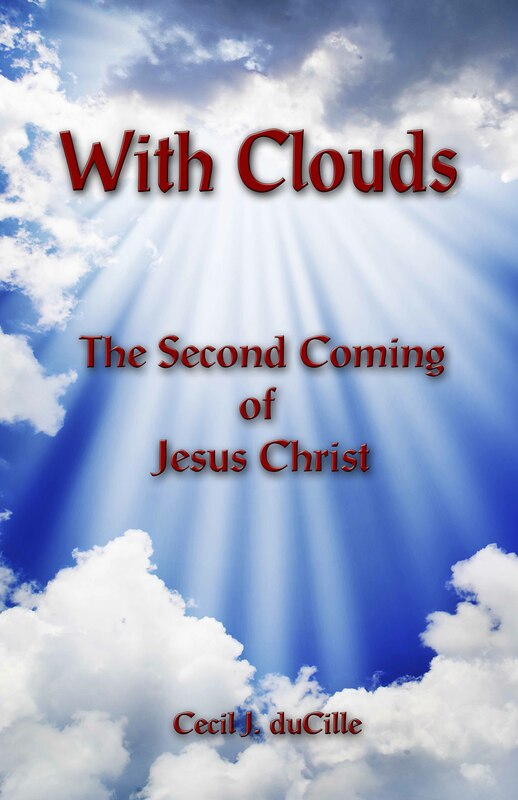 This heaven is the heaven WITHIN US, the place from which Christ is going to reign and rule in the earth. In Revelation, “the four beasts” are “full of eyes.” When you look in Ezekiel 1, there are wheels outside. The wheels represent the Holy Ghost. In Revelation 4, instead of wheels, gyrating wheels moving with the spirit, the eyes came into the beasts themselves. The wheels had incorporated themselves into the beasts. The Holy Ghost had now incorporated the soul of man. Remember, the Holy Ghost is in the man’s spirit at this present time. HE IS WORKING IN THE SOUL. He is preparing a place in the soul FOR THE CHRIST. When the fullness of Christ comes, then we will have Father, Son, and Holy Ghost. When the beasts give glory to God, the elders fall on their faces. At this point man does not want any more glory. HE GIVES IT ALL TO GOD. “THOU art worthy…for THOU…hast redeemed us.” GLORY TO GOD! Thought for today: Give way to God changing you. Let His metamorphose begin in you today.